Artificial Isotopes can be created by putting elements into a nuclear reactor. Inside the reactor the element is bombarded with neutrons and occasionally a neutron will enter a nucleus to form an artificial isotope. 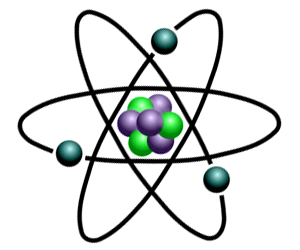 Isotopes have the same number of protons (and electrons) but different numbers of neutrons in the atom of an element. As a result of their having different numbers of neutrons, an element's isotopes differ in mass. The physical properties of an isotope, such as their masses, boiling points, and freezing points, are different. These differences allows scientists to separate one isotope from another. An important example of this process is the way they were used to purify uranium during WW2. Some isotopes are radioactive whilst others are not. Radioactivity describes a phenomenon in which certain materials are subject to a form of decay brought about by the emission of high-energy particles or radiation. A radioactive isotope is an isotope that spontaneously breaks apart, changing into some other isotope.